One of our strategic offices for Research and Development in Asia, and it is continuing to expand. 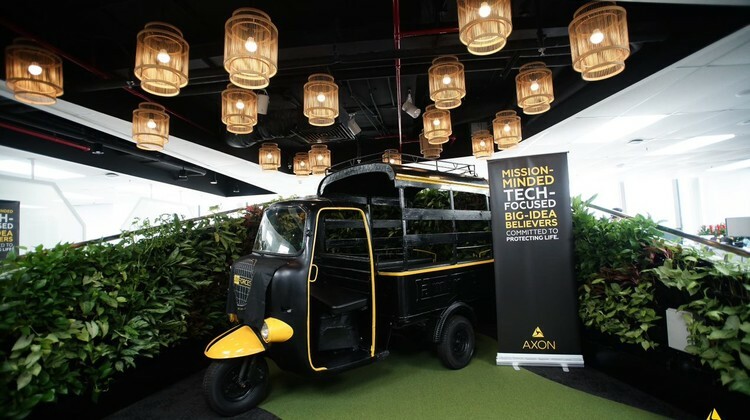 In the beginning of 2017, Axon acquired Misfit's Computer Vision team and marked the establishment of our branch in Ho Chi Minh City, Vietnam. 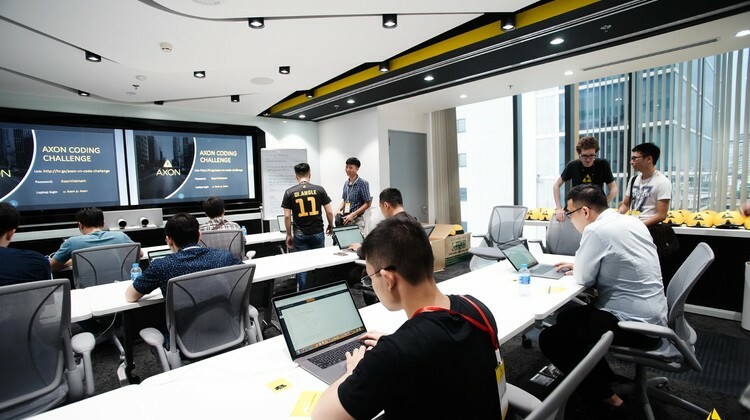 From 7 members, we have grown into more than 60 members coming from different departments of Software Engineering, Hardware Engineering, Product Design, IT Support, HR, and so on. 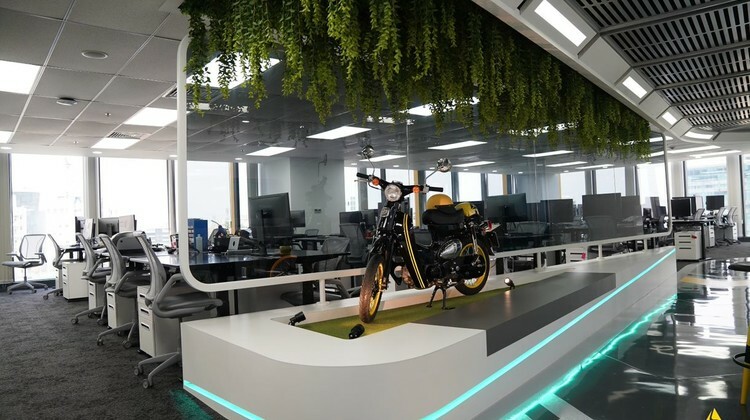 In August 2018, we celebrated our new office in District 4 that wowed the tech community with its phenomenal spaceship design that no other office in the city can offer. 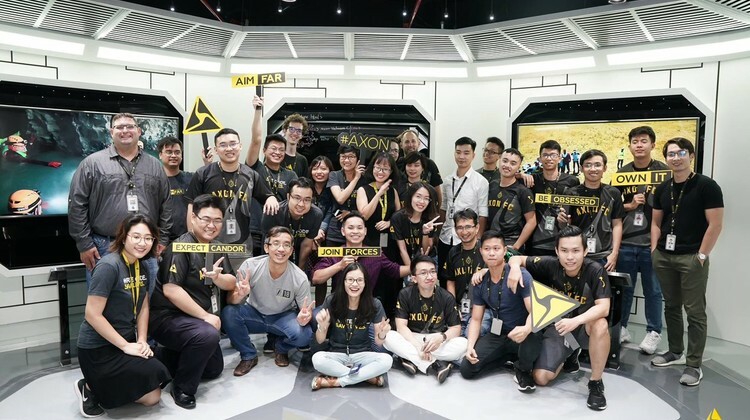 At Axon Vietnam, we encourage everyone to express themselves, always strive for innovation, and have the freedom to raise opinions. We also emphasize the connection between leaders and team members. We are located nearby the Calmette Bridge, which provides easy access to the center of the city. Our spacious office on the 8th floor of Etown Central feels like a spaceship with its futuristic and modern features. Perks of working in the Vietnam office include lunch allowances, gym memberships, and international business travel to the United States, not to mention the PS4 and Nintendo Playstation and wide variety of snacks and drinks available in the office!